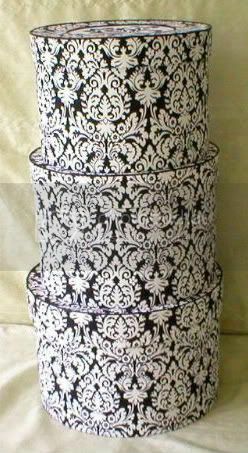 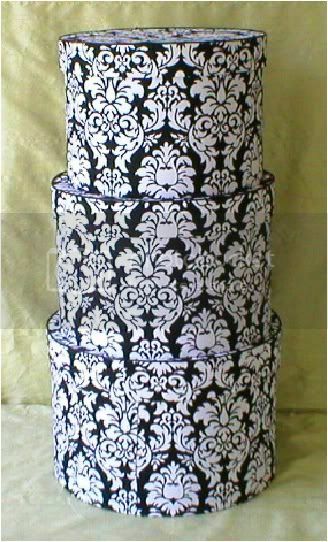 This is a beautiful, fabric covered, XLG., Tall, set of 3 hat boxes. 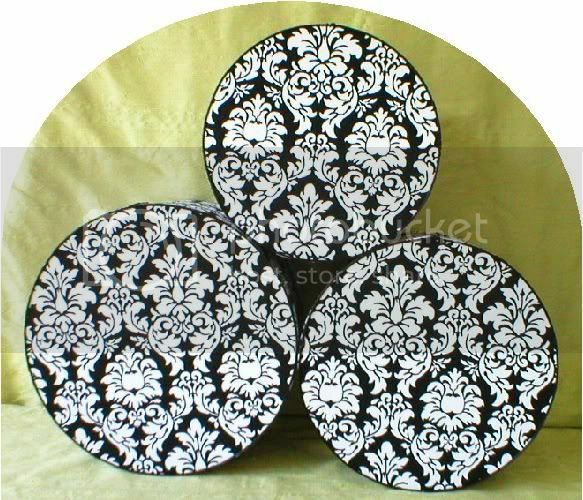 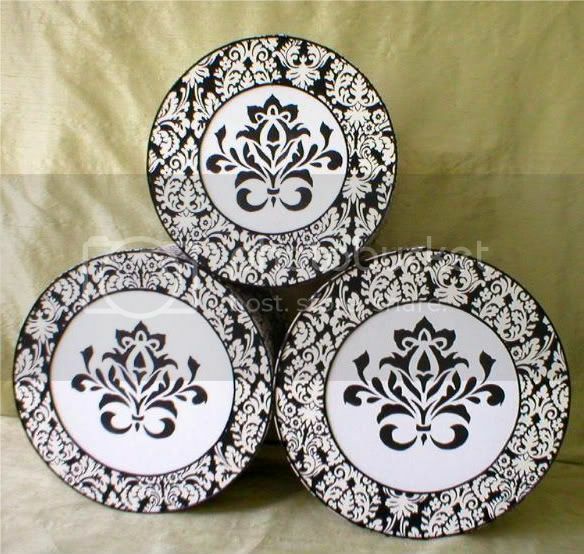 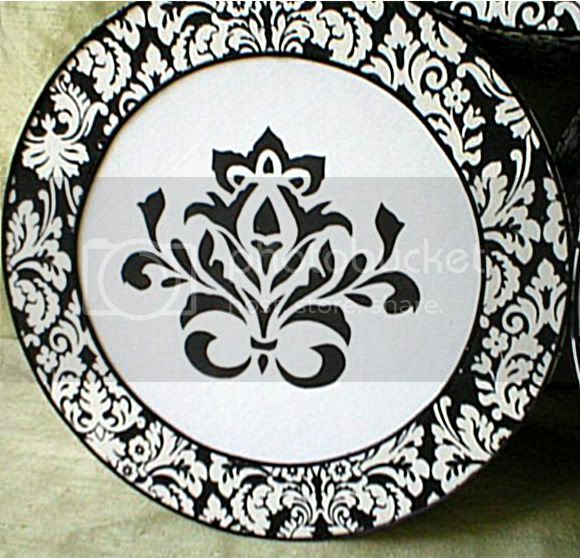 They are covered in a gorgeous Black and White Damask Fabric. 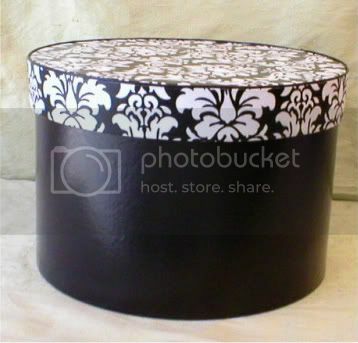 The rim of each lid is finished with narrow, Black, Satin Cord. 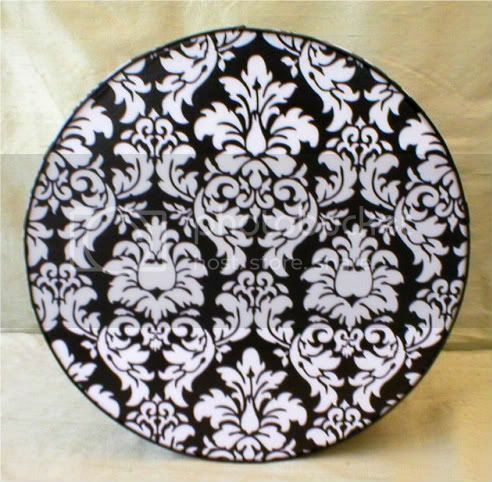 DIMENSIONS: Small: 10" tall x 7.25" height; Medium: 11" x 7.75"; Large: 12" x 8.25".